Should You Follow Hedge Funds Back Into Kilroy Realty Corp (KRC)? The latest 13F reporting period has come and gone, and Insider Monkey is again at the forefront when it comes to making use of this gold mine of data. We have processed the filings of the more than 700 world-class investment firms that we track and now have access to the collective wisdom contained in these filings, which are based on their September 30 holdings, data that is available nowhere else. Should you consider Kilroy Realty Corp (NYSE:KRC) for your portfolio? We’ll look to this invaluable collective wisdom for the answer. Is Kilroy Realty Corp (NYSE:KRC) a buy here? Prominent investors are undoubtedly betting on the stock. The number of long hedge fund bets experienced an increase of 4 in recent months. KRC was in 13 hedge funds’ portfolios at the end of the third quarter of 2016. There were 9 hedge funds in our database with KRC holdings at the end of the previous quarter. 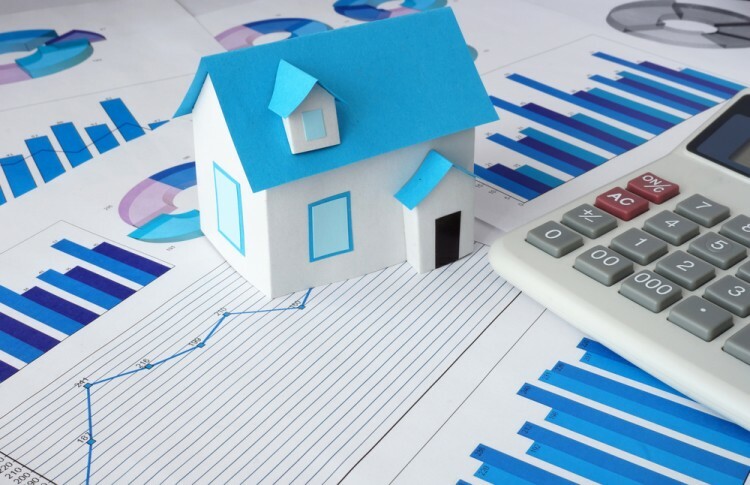 At the end of this article we will also compare KRC to other stocks including Spirit Realty Capital Inc (NYSE:SRC), Rollins, Inc. (NYSE:ROL), and NVR, Inc. (NYSE:NVR) to get a better sense of its popularity. Heading into the fourth quarter of 2016, a total of 13 of the hedge funds tracked by Insider Monkey held long positions in this stock, a 44% surge from the second quarter of 2016, which wiped out much of the past two quarters’ declines. 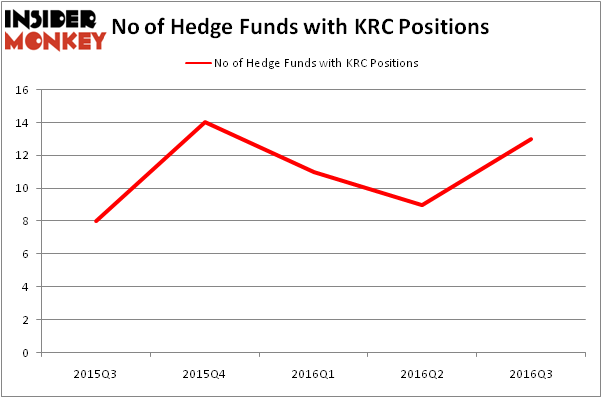 The graph below displays the number of hedge funds with bullish position in KRC over the last 5 quarters. With hedgies’ positions undergoing their usual ebb and flow, there exists a select group of noteworthy hedge fund managers who were upping their holdings significantly (or already accumulated large positions). According to Insider Monkey’s hedge fund database, Israel Englander’s Millennium Management has the number one position in Kilroy Realty Corp (NYSE:KRC), worth close to $92.3 million. The second most bullish fund manager is Ken Griffin of Citadel Investment Group, with a $46.9 million position. Some other professional money managers with similar optimism comprise Eduardo Abush’s Waterfront Capital Partners, Jim Simons’ Renaissance Technologies, and Dmitry Balyasny’s Balyasny Asset Management. We should note that none of these hedge funds are among our list of the 100 best performing hedge funds which is based on the performance of their 13F long positions in non-microcap stocks.